The following week, Horst stomped into my office with the article in Scientific American (The Universe's Unseen Dimensions, August 2000), just to find it already lying on my desk. I am not sure who put it there, it wasn't me, but apparently there was no way around reading the papers by Arkani-Hamed & Co. I can't say I liked what I read. I liked the original Kaluza-Klein idea, but these extra dimensions had little, if anything, to do with it. Anyway, I was completely stuck with my work (work on something I found out years later had been done already in the 80ies) and thought I could give the 'modern' extra dimensions a try. We kept telling ourselves the topic would vanish soon, and we shouldn't spent to much time on it. Instead, the idea of phenomenologically accessible extra dimensions has flourished since (in an almost scary way), and the parameters of the models are by now included in the Particle Data Group's search for physics beyond the Standard Model. Here, I would like to briefly introduce the main concepts, together with some references, to give you an impression of what I have been working on. For a very readable introduction on the subject to non-experts, I can recommend Lisa Randall's book 'Warped passages'. My motivation to study models with extra dimensions is simple. As long as I don't know of any good reason why we live in 3+1 dimensions, the question whether our spacetime has additional dimensions is definitely worth the effort of examination. This means one has to figure out how the assumption of additional extra dimensions can be included into our current theory, the Standard Model (SM), in such a way that this is compatible with our present day observation, and then ask what observable consequences this yields. However, we first have to explain why we don't see any of the extra dimensions in our daily live, since we rarely witness things vanish into the 5th dimension. The most common way to do this is to assume that the extra dimensions are compactified on a small radius (ADD and UXD-models). Another way is to give the extra dimensions a strong curvature, which basically makes it hard to escape into them (RS-models). In the ADD and RS-model, we - or the particles of the SM respectively - are bound to a 3-dimensional submanifold. This submanifold is often referred to as 'our brane', whereas the whole higher dimensional spacetime is called 'the bulk'. 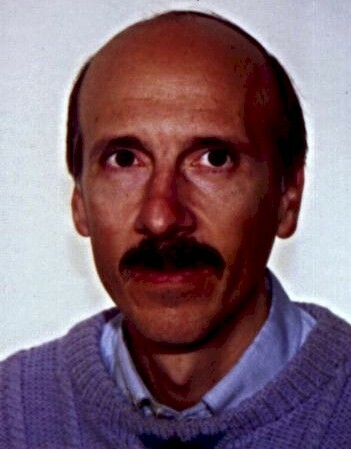 The setup of these brane-world models is motivated by string theory, and whenever you post a paper and forget to cite Antoniadis '90, I can picture him jumping up and down in his office, tearing out his last some hears - before he writes you a polite email demanding to be cited appropriately. Which I have done hereby. The attractive feature of models with extra dimension is that they provide us with an useful description to predict observable effects beyond the SM. They do by no means claim to be a theory of first principles or a candidate for a grand unification! Instead, their simplified framework allows the derivation of testable results which can in turn help us to gain insights about the underlying theory. The ADD-model proposed by Arkani-Hamed, Dimopoulos and Dvali in '98 adds d extra spacelike dimensions without curvature, in general each of them compactified to the same radius. All SM particles are confined to our brane, while gravitons are allowed to propagate freely in the bulk. In four dimensions, the scale at which effects of quantum gravity are expected to become important is the Planck scale. It's large value of ~ 1016 TeV is far out of reach for future collider experiments. It is puzzeling why this scale is so much larger than all the other mass scales in the SM. This is the so-called hierarchy problem. The higher dimensional theory comes with a higher dimensional Planck scale Mf which can be close by a TeV. The large observed value of our Planck scale is then caused by the presence of the extra dimensions: In contrast to all the other interactions, gravity dilutes into the extra dimensions. Thereby, the gravitational potential falls off faster at distances smaller than the radius of the extra dimensions. At larger distances however, the usual behaviour is recovered, but with an already weakend strength. This is shematically illustrated in the figure below. These models thus explain why gravity is so much weaker than the other interactions (or at least reformulate it in a geometrical language). This in turn means that at smaller distances, gravity is much stronger than what we expect from the extrapolation of the 3-dimensional force law. It will run with a different power law in the radial distance r, which is related to the number of dimensions as 1/rd+1. These extra dimensions are called 'large' because the radius is much larger than the inverse of the new fundamental scale. It turns out that the model with one extra dimension is incompativle with observation (the extra dimension would have about the size of the solar system). For d=2, the radius of the extra dimension can be as large as 1/10 mm. The larger the number of extra dimensions, the smaller the radius. Within the model of universal extra dimensions all particles (or in some extensions, only gauge fields) can propagate in the whole higher dimensional spacetime. These extra dimensions typically have radii of ~ 10-18 m are compactified on an orbifold to reproduce SM gauge degrees of freedom. These models come closest to the original idea of Kaluza and Klein. It is worth noting that, unlike the ADD-model, no location along the extra dimension is exeptional and thus, translational invariance holds. This means, that the momentum in direction of the extra dimensions is conserved. an non-factorizable, so called 'warped' geometry. Roughly spoken, when you go into the direction of the extra dimensions, all your scales will be stretched by a factor depending on the distance to our brane. The solution for the metric is found by analyzing the solution of Einstein's field equations with a constant energy density on our brane where the SM particles live. In the type I model the extra dimension is compactified, in the type II model it is infinite. The resulting metric is an AdS-Space, which makes the model particularly interesting. The split fermion model is not exactly a model on its own, but it serves as a quick fix for some problems that arise within models with a lowered fundamental scale. Namely, contributions in the SM that e.g. cause the proton to decay, are usually suppressed by the large value of the Planck scale. If the Planck scale is lowered they can become quite troublesome, and would allow the proton to decay rather fast. Since - luckily - the proton seems to be very long lived, it remains to explain why these processes do not occur. In the split fermion model, the wave-functions that correspond to the particles of the standard model, are localized around different positions in the direction of the extra dimensions. To compute the effective coupling between these particles, and thus, the strength of the above mentioned decay modes, one has to integrate the product of these wave-functions over the extra dimension. This overlap can be tiny, even with small separations. This is not only useful to suppress higher dimensional operators (also flavor changing ones), but can also be used to explain the very different masses of the fermions. The above mentioned models lead to a vast number of observable predictions, for high energy physics, high precision measurements and astrophysics. The current constraints on the parameters of the models can be found in the Particle Data Book. The most obvious experimental test for the existence of extra dimensions is a measurement of the Newtonian potential at sub-mm distances, since we have seen above that large extra dimensions predict a different power law. Cavendish-like experiments which search for deviations from the 1/r potential have been performed during the last years with increasing precision and do currently require the extra dimensions to have radii not larger than ~ 0.045 mm (which disfavors the case of two extra dimensions). Periodic boundary conditions, as caused by compactification, lead to geometrically quantized momenta in the direction of the extra dimensions. This means the momentum in the extra dimension can only come in discrete steps. The step-size is the inverse of the radius. A particle with non-zero momentum in the extra dimension will appear to have less momentum left for the usual dimensions. It will thus behave on our brane as if it had an additional mass. A particle that is allowed to enter the extra dimensions will therefore come with a whole 'tower' of momenta that on our brane appear like copies of the same particle with different masses. These so-called KK-excitations of the particles can in principle be produced in scattering experiments, if the energy is high enough to provide enough momentum. In the ADD-model the graviton will have a tower of KK-excitations, and since the radii of the dimensions are large, the mass spacing will be very small. It takes a whole lot of these flimsy gravitons to add up to an observable contribution. Typically, these contributions become comparable to SM-processes if the total energy of a collision reaches the new fundamental scale. Real graviton production would lead to an apparent loss of energy, since the graviton does not lead to a signal in the detector. Also, virtual exchange of gravitons can take place, which modifies predictions for processes made within the SM. As we have seen, in the ADD-model gravity on distances significantly smaller than the radius of the extra dimension, is much stronger than in the usual three-dimensional scenario. The horizon of a black hole is the surface at which photons can no longer escape the gravitational pull. In the presence of extra dimensions, this happens at a much larger distance. Black holes can therefore be produced easier. The density that is needed to cause a gravitational collapse is such that it can be reached at future colliders. Whenever two colliding particles with sufficiently high energy come closer together than the horizon radius of their total energy, the system will collapse and cause a black hole. One can estimate the number of black holes that would be produced at the LHC. For Mf ~ 1TeV one finds about 1 black hole per second. These black holes would not be stable. Due to quantum effects, they undergo Hawking evaporation with a very high temperature (~ 300 GeV ~ 1015 K) and decay before they reach the detector. They will however give a very distinct signature. Will be updated from time to time. I invite you to send me your links or references. another thing is the blackhole singularity. The same word used for 2 totally different things(?) concepts. The event horizon is NOT a blackhole. A really fantastic expose on a very interesting subject, many thanks. I do so admire Lisa Randall, and have read most of her pre-print papers, but I must get her book. Hey Sabine, thanks for collecting this list of Kaluza-Klein themed models for unification. There are a couple things I hope you'll consider adding. First, ( I suggest this one selfishly ;) you may wish to include models in which the algebra is that of a higher dimensional spacetime, but the base manifold is four dimensional. This is, essentially, the idea of using a single fiber bundle for unification. Second, it would be useful if you more clearly weighed the problems and benefits of each model, including the old-fashioned Kaluza-Klein model (perhaps with N^pqr or CP2 as a compact KK space). "one thing is the event horizon singularity - we cannot see beyond it"
Anyways, great post bee, I had missed that you had gotten accepted for the Emmy Noether program, I noticed that Christian Fleischhack is building up a group on mathematical LQG with them (but only realized after I had accepted my PhD position in England), having you do phenomenology would have been excellent. The DFG inflexibility is unfortunate and annoying, and most of all very unbefitting for a research funding institution. the even horizon is not a singularity. In contrast to you, I would define a black hole by the existence of the horizon, NOT by the existence (?) of a singularity in the inside (cause I don't think there is one). Best, B.
I agree with you and I thought about it, but it would have been too off topic here. I should do so some other time. In the above post, I have tried to focus on the phenomenology. Best, B.
just noticed that you already said there is no singularity on the horizon. Yes, the DFG story is a very very sad story. It would have been such a good opportunity. On the other hand, I came to think lately that its maybe not soo bad, coz this way I won't be stuck on my proposal for the next 6 years. And I am sure I will find some other way to get a group started. Bee, exactly the word is being used to describe two different things. Unless you imagine we are living in a black hole, and like Smolin you presume we are living in a pocket universe though that blackhole therefore the Cosmic Event Horizon = to blackhole event horizon. PS - the 'event horizon' of a blackhole or star gone supernova is the visible debri surrounding it (it being the space the star previously occupied) - whether you believe there is a singularity in the middle of it (that space) or not. There is no extrapolated engineering for probing the small distances in which multi-dimension theory hides from empirical falsification. However, if the maths are not symmetric to parity transformation there is a curious footnote. A 0.5 cm radius solid single crystal of quartz is then surface roiling parity divergence at 4x10^(-10) fm. Gravitation theory ungerade to parity transformation will show anomalies like Equivalence Princple parity violation. Galactic engineering is not required, only an existing Eotvos balance. Great post! Thanks, wasn't aware there's been so much work on that stuff. But tell me, whats it YOU have been working on? One thing that I think you don't mention is that extra dimensions aren't necessarily a choice. Starting with some basic assumptions that make no reference to the dimension of spacetime, like those of (super)string theory, we're led inevitably to specific dimensions, because otherwise the physics is inconsistent. One thing that I think you don't mention is that extra dimensions aren't necessarily a choice. In April, I listened to an interview on Public Radio with physicist Lisa Randall. She is a top theorist on foundational theory of why the universe is the way it is. That means string, branes, and such. One of the venerable questions is: why is space three-dimensional? It may seem natural to have three dimensions of space and one of time, but mathematically there can be any number of dimensions (think of specifying points using 4, 10, etc. variables.) Physicists, including Lisa, say they can't see why space *had* to have three dimensions. Check out this. However, they have come up with reasons why three large-scale dimensions would be more likely to expand out of a larger set (usually thought of as 10 or 11) of original, perhaps tiny dimensions. Below follows a statement adapted from my post to radio open source in response to the interview, and outlining my own efforts to answer this question. The proofs are rigorous and verified by others. Here is a story about how extra dimensions got started. When the Big Bang exploded, there was also an equal and opposite IMplosion, creating an inside-out universe. This universe is probably the size of an atomic nucleus, but apparenly tapers off at the end to roughly the Planck length. Now what we have is the big huge universe that has been exploding for billions and billions (as Carl Sagan would say) of years and the little tiny universe that has remained right at its center. Only the center of the universe is everywhere. So the tiny universe has to also be everywhere. Rolled up into a tight little nuclear sized ball, natch. So this is where the tiny rolled up extra dimensions come from. They are actually hidden inside the nucleus of every atom. Which means that the strong force is actually gravity in reverse, so that's how we unify gravity with the strong force. Also, since this tiny universe, which is actually a great big universe, only inside out (see Abramowicz for the details), is everywhere, it has mass and so also energy, which makes it a likely candidate for the source of dark energy and matter. Is this a "falsifiable" theory? Yes. If you go something somewhere where there is very weak gravity, then the strong force should also be found to have weakened by the same ratio. The links to the ADD, UXD and RS models are not working. thanks. These were links within the page. I am perfectly sure they worked when I looked at the post the last time - this is one of the stupid blogger problems. The editor has a life on it's own. Even if you don't use rich-text, just opening and saving a post can ruin everything from layout over links, special characters, embedded sources. It's awful. Hope it works now! you are right about blogger posts... sometimes it is indeed enough to open and save something to mess it up! Glad to know that your blog is well maintained.